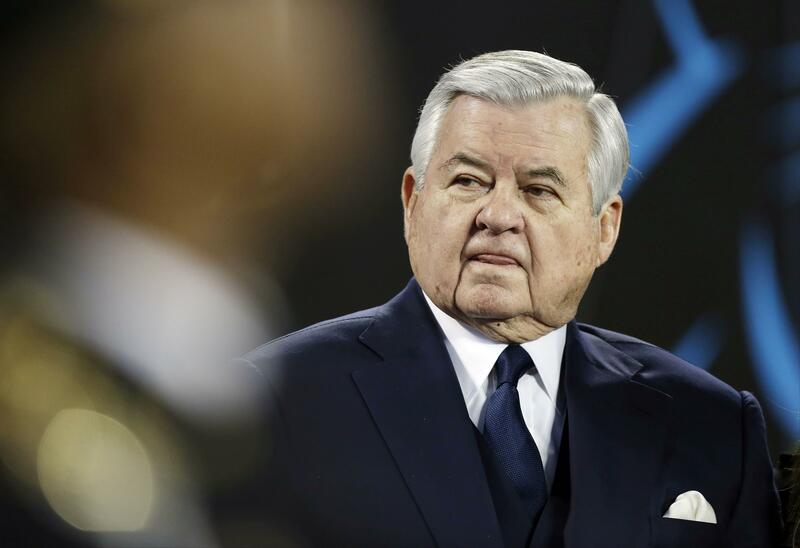 CHARLOTTE, N.C. – The Carolina Panthers founder and owner Jerry Richardson is under investigation for allegations of workplace misconduct. The team said Friday former White House Chief of Staff Erskine Bowles is overseeing the investigation by a Los Angeles-based law firm. Team spokesman Steven Drummond said in a release that the Panthers and the 81-year-old Richardson take these allegations very seriously and are fully committed to a full investigation and taking appropriate steps to address and remediate any misconduct. Richardson was unavailable for comment. Drummond told The Associated Press because the matter is under legal review, the Panthers cannot comment publicly on the specifics of the allegations. The Panthers made the NFL aware on Friday that it has initiated an investigation into Richardson’s alleged workplace misconduct. NFL spokesman Brian McCarthy said the league has no comment at this time. The investigation against the team’s only owner in franchise history is being led by international law firm Quinn Emanuel Urquhart and Sullivan, LLP, and will be overseen by Bowles, who is a minority owner. Panthers coach Ron Rivera said in a release Friday night that he has had a strong relationship with Richardson since he joined the franchise as coach in 2012. “I have enormous respect for the man, but will wait for the results of the investigation before making any judgment,” Rivera said. Richardson brought NFL football to the Carolinas in 1993 when he became the first former NFL player since George Halas to own a team. The Panthers began play two years later in 1995. The Panthers have made a series of peculiar moves in the last year. Team president Danny Morrison, who was well liked in the Carolinas among had worked on the business side, abruptly resigned in February. Then, as the Panthers were preparing for training camp, Richardson unexpectedly fired general manager Dave Gettleman, who has led the team to the Super Bowl just two years ago and replaced him with former general manager Marty Hurney. The move was odd considering Carolina has made the playoffs three times in four seasons under Gettleman. Hurney did not immediately return phone calls seeking comment. Former Panthers quarterback Jake Delhomme said he is one of “numerous” former Carolina players who maintains a close relationship with Richardson. “The only thing I can say is that Mr. Richardson is a gentleman that I have the highest degree of respect for,” Delhomme told The Associated Press. Richardson, who rarely conducts interviews, never addressed the moves. Richardson was hospitalized 2008, one month after receiving a pacemaker. Richardson underwent quadruple bypass surgery in 2002 and was placed on a donor waiting list for a new heart. He received the new heart on Feb. 1, 2009, and has not had any known setbacks since. He is only one of two owners to have owned a franchise since its inception. The other is Houston’s Robert McNair. Published: Dec. 15, 2017, 7:42 p.m.